Organic Acai berry is a Amazonic fruit, cultivated in Brazil that has a huge menu of benefits to health. Besides the large number of nutrients, organic acai berry still give you a lot of cooking possibilities turned to fitness. The fact is due to the energetics, antioxidants, vitamins and anti-inflammatory properties of this “super fruit”. The taste of the organic acai berry is also very compatible with other fruits like mirtilos, banana, raspberry, strawberry, coconut, pineapple and lots of the tropical gender. With this little purple fruit, we from Tropical Açaí produce a large variety of organic acai berry products like the organic acai berry sorbet (with “light” option), pulps and other tropical fruits for complement, like pitaya and guaraná. We produce all of it thinking about the fitness and health persona, by the way, the organic acai is a berry that provides energy to pre-train, contribute to muscular recovery and also can avoid diseases like cancer. That is why having organic acai berry as a product in a gym or natural and organic products space is a great opportunity to increase your profit with large number of people that, today, are leaving the fast-food rhythm and adhering a more healthier life. Unlike the stimulants, organic acai berry acts like a natural energy source for the training of high intensity due to it’s carbohydrates, that is, after training the body doesn’t fatigue like when it is stimulated artificially. Also it contributes to the muscular recovery after training, seen that the fruit rapidly restores the glucose lost during the training, contributing to the physical conditioning after the activity. Besides that, the fruit is a source of vitamins, mineral salts and fatty acid essentials like the omega 3, 6 and 9, vitamins E, B1, calcium, iron, zinc, fibers and proteins. That is, it’s not a common fruit, but a “super fruit” rich with antioxidants (presence of anthocyanins), avoid cardiovascular diseases, it is a natural anti inflammatory, contributes to a better blood circulation, fights anemia, increases the immunologic capacity of the organism, provides a good cholesterol and it favors a better working intestine. Therefore, the organic acai berry is an awesome food for athletes and people who search for a quality of life in nutritive and healthier foods, and when accompanied with other organic foods, it still contributes more to the improvement and recovery of the health, besides of being a fast and easy way of feed yourself. The products from Tropical Açaí have a practical packages for the consumption and handling. Know our complete line of products accessing our website. Provide to your clients the health that they deserves through the truly acai berry from Amazon! A healthy life begins, necessarily, by the adoption of smart and functional eating habits. Food is the source of human energy and also most of the necessary nutrients to ensure the proper functioning of the organism. Bet on a diet rich in natural foods and giving up of industrialized is one of the secrets to health and longevity. And the acai berry must be present on this diet. Some foods seem to become consumer trend, especially when entering to the menu for athletes and people recognized for maintaining healthy habits. It’s been a while since the tropical Acai turned fashion and everything indicates that it will not be transient, because it brings real benefits to the quality of life of those who consume it regularly. Tropical Acai prepared this e-book so that you know all the benefits of this superfruit and also know why athletes and healthy people consume every day the acai berry. In the era of healthy lifestyle the so-called “superfoods” earn more and more shelf space, and also, on the menu of men and women who want to live longer and better. Among these foods is the ACAI, a purple Berry from Acai Palm (Palm species). The highest concentration and production of acai berry of Brazil are on Amazon. The fruit earned status from the 1990 and the main contributing factor to such fame are its nutritional properties, and is exactly what we’re going to talk about. In addition to a source of minerals and vitamins, the fruit also has fibers and antioxidants. Thinking on the benefits of this fruit, Tropical Acai prepared this material to introduce you the best superfruit of all, the acai berry. The acai berry is the fruit from the acai tree. This is a very common Palm in the Amazon, mainly in the northern region of Brazil. Despite being a very consumed fruit in this region, the consumption of Acai has been popularized all over the world, thanks to the numerous benefits it can provide to health. But, after all, why should you start consuming the acai berry right now? Let’s look at the reasons. One of the reasons that make people give up the diet is the monotony of the menu. Well, the acai berry from the Amazon goes completely against that idea, because it can be consumed in different ways: the most common is the fruit pulp in the bowl, usually mixed with other fruits, but he is also found as jam, compote, juice, ice cream, sorbet. Of course, to have access to all the benefits and not to compromise the diet, the Tropical Acai team advises that it is best to consume the most natural way possible, that is, the fruit pulp, without adding ingredients that have a lot of calories. But you can add fruit, cereals and other healthy foods in your Acai Bowl at breakfast time. The acai berry works much like a natural antioxidant. This means that it has a large concentration of substances that fight free radicals and, consequently, slow down the aging process. This brings advantages for aesthetics, after all, the skin, hair and nails remain looking young and healthy, but it’s also very important to health, since many diseases are caused precisely by the aging of cells. This is one of the benefits associated with the fact that the acai berry is a natural antioxidant. According to a survey conducted at the University of Florida, the fruit may have almost 90% efficiency in combating cancer cells. In this way, regular consumption can be one way to avoid the appearance of tumors. There are two types of cholesterol: HDL, referred to as “good” and the LDL, called “bad”. A high LDL levels can bring serious consequences, such as blockage of veins and arteries. Fortunately, the acai berry is rich in substances called anthocyanins, which help to reduce bad cholesterol. A study published in the journal nutrition, an important brazilian magazine, where he was made an experiment with laboratory mice: they were subjected to a high-fat diet, only half consumed Acai pulp and the other half not. After a while, it has been found that rodents who ate the acai berry they had lower cholesterol than the other, even with the same diet. Want a good source of energy to start your day? Bet this fruit! Each 100 grams has approximately 250 calories. That’s very good, for example, for those who practice physical activities and needs an extra hand to achieve a good performance. But it also indicates that consumption should be moderate, otherwise, you might end up weighing in the balance. Once again the power of this natural antioxidant must be emphasized. In addition to the anthocyanins, the acai berry from Amazon is also rich in phytosterols, which stimulates the production of collagen. In this way, the skin tends to get firmer, rejuvenator, healthy and without those dreaded expression marks that can begin to appear early. If you already seek to use anti-aging creams, associate the acai berry to care routine to get even more promising results. Anxiety, agitation, stress and nervousness, it’s all part of the everyday life of most people, thanks to the modern routine. Well, a potential of Acai is to keep stress levels adjusted, making you feel more relaxed, even in the face of situations of tension. This is the nickname that scientists give to the acai berry from Amazon: superfood. The reason? He is considered one of the most complete fruits of nature, thanks to its composition that offers a large part of the nutrients of which a person needs. One of the substances present in Acai in large quantities is calcium. Consequently, the food is a great ally to keep the bones strong and resistant. If you’re a woman and has more than 40 years, this is one of the most interesting reasons to consume the fruit, because it’s really going to help in the prevention of osteoporosis. For those who practice physical activities regularly, the acai berry from Amazon is a food practically mandatory. Has a large amount of low glycemic carbohydrates (which are far more healthy), and still have amino acids that act in the process of regeneration and muscle recovery after exercise. So, it can work well both before and after practice, of course, since you do not mix sugar or other ingredients that may affect your diet. Among the minerals present in a serving of Acai is the potassium. One of his most famous features is to avoid the so uncomfortable cramps that can achieve both sedentary people as those that practice physical activities. To achieve this benefit, it is best to combine fruit consumption to fluid intake, at least 2 liters of water a day with it, certainly you’ll be away from this problem. Vitamin B1, present in fruit, it is very important to regulate the nervous system, especially regardig to the metabolism of fats, proteins and other substances. To keep your metabolism working properly, weight loss is one of the consequences. In addition, the appetite of the person also is more controlled. Yes, the acai berry can also bring benefits to your vision! This advantage is related to two substances that are part of the composition: beta carotene and vitamin c. Acting in conjunction, they soften the effects of macular degeneration, common problem among those who have diabetes. Speaking of diabetes, those who suffer with this disease can eat the acai without fear. Some people get worried, because they know he is rich in carbohydrates. But remember: are low Glycemic carbohydrates. In fact, it helps control blood glucose rates, so it is an excellent option for those who have this problem. And the same goes for the hypertensive patients: the fruit also helps control blood pressure. The set of existing nutrients in Acai makes it excellent for strengthening the immune system, i.e. the body’s own defenses. In this way, the individual becomes more resistant to diseases caused by viruses and bacteria. To spice up the relationship between a couple, this natural antioxidant is also a wonderful choice! The tip is worth especially for men, because, in their case, the regular consumption of Acai can increase sexual appetite and prevent possible problems of impotence. 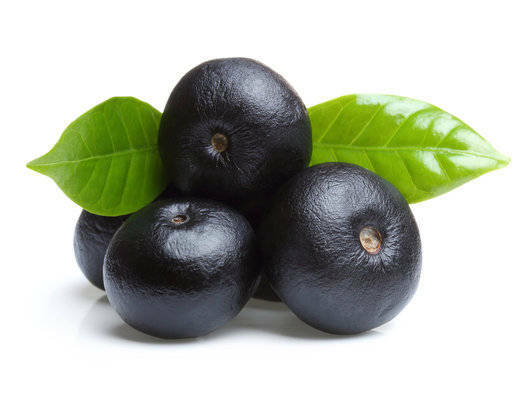 In addition to all the nutrients that have already been mentioned here, the acai berry from Amazon is also rich in fiber, which improve the intestinal transit (as long as you drink plenty of water). Thus, the swelling in the abdominal region tends to be eliminated and the release of toxins becomes more efficient. It has been said here that vitamin B1 helps to lower levels of stress. But, we would like to strengthen that Acai Topical also improves the communication between brain cells, providing a great sense of physical and mental well-being. For those who have trouble sleeping, this could be the big secret of sleep most nights. This benefit is a sum of others that have already been mentioned here: bowel well-regulated, high metabolism, energy to practice physical activities. All that helps those who want to lose a few pounds. But of course: only fruit consumption does not work miracles, but helps those who exercise and seeks to maintain a balanced diet. Finally, the acai berry is also an excellent ally of mental health, reducing the risk of development of neuro-degenerative diseases such as Alzheimer’s disease. There are studies that speak and relate this fact to the presence of vitamin E and C.
As you may notice the Acai is an excellent option for those looking for quality of life through diet, that’s because it’s a complete fruit with nutrients to the body and a tasty option for those who work for a healthy life. Being very rich in nutrients, this fruit should be consumed daily, and it is in fact a delicious and nutritious choice for your breakfast. It also provides energy and willingness to the everyday rush. To be enjoyed with all these 20 advantages which have been tabled, the consumption of Acai must be regular. Count on Tropical Acai for this. So, enjoy and Bon Appétit. Living a healthy lifestyle also means including a wide range of fruits and vegetables in your diet. They are rich in vitamins and other healthy nutrients that our body requires to function properly. Therefore, it is no surprise that most so-called superfoods belong to the fruit and veggie family. One of these highly powerful foods is acai berry. The acai berry is an inch-long reddish purple fruit that is super delicious and healthy at the same time. They are good for your overall health and they make your skin look flawless as well. If you haven’t tried these powerful berries, this article will inspire you why you should do so today. Plus, if you already like acai berries then this is a great opportunity for you to learn more about them. So, let’s start and step into the world of acai berries. You know the drill, when a national treasure like Oprah Winfrey says she likes something, the entire country including the rest of the world fall in love with that thing, product or food immediately. Oprah talked about Acai berries in her talk show where Dr. Oz was a guest and branded these little berries as the future superfood. Before Oprah Show, these berries were relatively unknown, and ever since then their consumption increased significantly. Furthermore, Oprah also appeared on Larry King Live where she spoke about the berries and stated they helped her lose weight. The Acai berry is found primarily in Brazil. Acai palms are located in swamps, floodplains, and Amazon rain forests. Also, acai berries grow in Trinidad, and larger parts of northern South America. People native to the Amazon have been using these berries for hundreds of years and they are one of the essential parts of traditional medicine. However, the little berries are hard to get due to the fact that acai palms grow as high as 60 feet. The harvesting is done by hand which means that the locals who are responsible for this task have to climb up to dangerous heights just to get them. Locals have to act fast; picking berries and preparing them for shipping has to be done rapidly because berries are shipped by boat and they spoil easily. Acai berries are antioxidant powerhouse. Our body needs antioxidants to fight and destroy free radicals. The role of free radicals is to attack and damage healthy cells in our body thus causing various diseases. Regular consumption of acai berries protects your body from free radicals and prevents various health issues. Acai berries are thought to have higher level of antioxidants than strawberries, raspberries or blueberries. And the best thing is, these berries are versatile and they can be consumed in several different ways: raw, in juices, smoothies, as additive to some dessert, dried, or through supplements. The berries contain high levels of fatty acids like Omega-3, Omega-6, and monounsaturated oleic acid. You already know that our body requir Omega-3 fatty acids to function properly, just like Omega-6. They are good for heart health, brain health, and they regulate high blood pressure as well. Several studies have discovered that acai berries have a quite powerful composition. For example, Schauss AG from Natural and Medicinal Products Research, AIMBR Life Sciences in Washington, US conducted a study to observe the composition of freeze-dried acai berries. Results of this study were published in the Journal of Agricultural and Food Chemistry and they showed acai berries have a high level of phytochemicals and various flavonoids such as orientin, homoorientin, scoparin etc. along with some unknown flavonoids too. Furthermore, team of researchers also found fatty acids, amino acids, minerals and other nutrients together with oleic acid and palmitic acid. The bluish-purple skin is the primary reason why Acai berries got their superfood status. Just like many other fruits, skin of these berries contains fiber and abundance of various nutrients. Also, the highest level of antioxidants from acai berries is located in their skin. Therefore, if you’re about to purchase supplement, juice or some other acai berry-containing product, you should make sure it contains plenty of berry skin. Acai berries are linked with weight loss. For example, you can even purchase various weight loss supplements whose primary ingredient is acai berry. The benefits of acai berries for weight loss are still subjected to various studies. However, scientists point out that acai berry can only be used as a tool that will help you lose weight, but most definitely the only manner of doing it. Therefore, if you want to lose weight with acai berries, try to combine it with healthy diet and physical activity. How can this tiny berry help you lose weight? It’s because the berry is rich in antioxidants, vitamins, and fiber. Furthermore, acai berries suppress your appetite making you eat less. Acai berries are extremely beneficial for your skin as well. You’ve probably noticed the wide range of skin care products containing acai berries on shelves of your favorite cosmetic store or drugstore etc. Acai berries are good for your skin because they are rich in vitamins and antioxidants, plus oleic acid does wonders to damaged skin. Antioxidants, also, kill free radicals that were caused by sun exposure thus preventing further damage in your skin. In the research about usage of natural ingredients in skin care, Fowler JF Jrfrom University of Louisville, Division of Dermatology stated that acai berry can be used for treating hyperpigmentation. Findings of this research were published in the Journal of Drugs in Dermatology. If you have dark patches on your skin, you can easily make them less noticeable with acai berries. Plus, due to their healthy components, acai berries will make your skin look picture-perfect by restoring the healthy glow. As mentioned above, the acai berries are rich in fatty acids essential for our health. For example, Omega 3, Omega 6 and even Omega 9 (oleic acid) decrease the level of LDL or bad cholesterol and raise levels of HDL or good cholesterol thus preventing cardiovascular diseases. Benefits of acai berries for heart health were proven in pilot study conducted by Jay Udani, MD, CEO of Medicus Research. Study included 10 overweight participants who received 200mg of acai pulp per day for a month. Results of the study were published in the Nutrition Journal and they showed that acai ingestion was linked with reductions in glucose, insulin, and total cholesterol. The acai berries contain arabinogalactan, which is a polysaccharide that induces the activity of cells that play an essential role in our immunity. Regular consumption of the berries helps your body fend off various infections and diseases. Now, you have another powerful weapon against cold, flu, and many other illnesses. Acai berries are rich in dietary fiber which is crucial for the healthy digestion. Furthermore, healthy digestion is essential for weight loss, which means that with consumption of these berries, you really can’t lose; it’s a win – win situation for you. Also, the berries have detoxification properties and eliminate toxins and other harmful substances from your body making it healthy and stronger. Acai berries are also linked with cancer prevention, which has been documented in several studies. For example, Susan Percival, a professor with the food science and human nutrition department of University of Florida conducted a study with her team about link between acai berries and cancer cells. Results showed that acai berries triggered a self-destruct response in about 86% leukemia cells tested. Findings of this research were published in theJournal of Agricultural and Food Chemistry. Due to high levels of antioxidants, acai berries are beneficial for improving the cognitive function. Polyphenols that give acai berries they bluish-purple color activate proteins that clean up damaged cells, thus breaking down and recycling toxic chemicals linked to age-related mental decline. Due to numerous health benefits, antioxidants and other healthy substances, regular intake of acai berries is, also, linked with energy boost. Although these characteristics of acai berries are still subjected to clinical researches, it is believed they can help with fatigue and exhaustion. Acai berries are low in sugar, although quite tasty, and they help regulate insulin in your blood thus proving to be beneficial for people who suffer from diabetes. Also, eating low in sugar foods is always a good thing if you’re prone to gaining weight or in process of losing it. Potassium, manganese, copper, iron, and magnesium. Acai berries were relatively unknown a decade ago, but their popularity is increasing. The berries are considered as superfood and they definitely deserved that status with abundance of vitamins and minerals that improve your overall health and even skin. What are you waiting for? Munch on acai berries or, simply, make a yummy smoothie right now. We need antioxidants to fight free radicals that oxidize our body cells, causing many problems to metabolism. One of the best ways to avoid these problems is through acai. This fruit is originated from the Amazon and it is one of the athletes favorite fruits because of its great benefits. The Tropical Acai is believed to be superior than the blueberry when it comes to promote health. The acai, besides being richer in antioxidants , also brings lots of other benefits. If you want to eat properly and keep your body healthy, know the 10 reasons to use Tropical Acai as a natural antioxidant.